winwave wrote: It got damaged in a fire at Kern studios. So no idea when it will go up. so the wave was damaged in a fire? 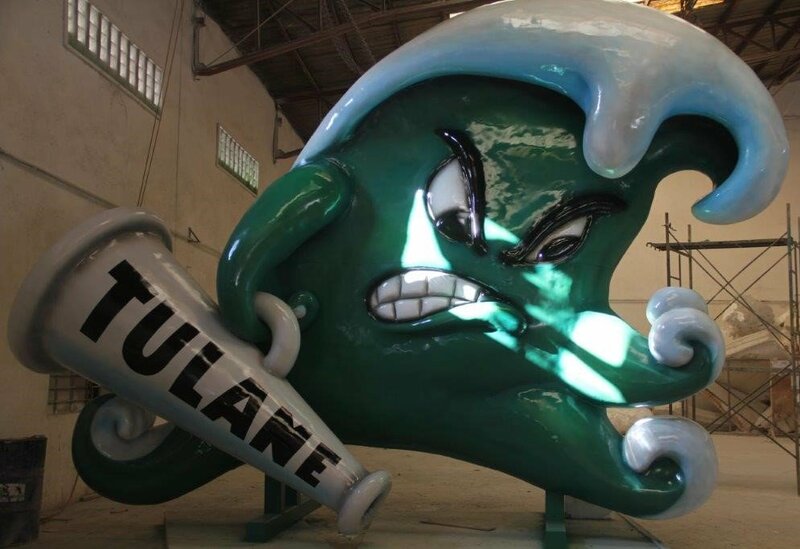 if thats not the perfect metaphor for tulane athletics i dont know what is. It suffered smoke damage, as I understood it. But I'm surprised smoke damage would be difficult to fix for something that's going to be outdoors for a long, long time. Maybe there's more to it. 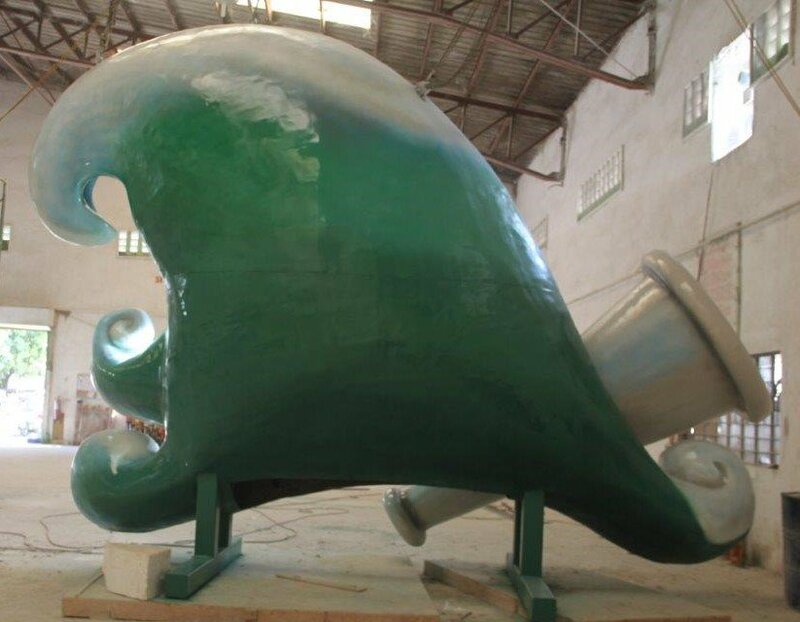 Entire floats have been CADed, engineered, built and lighting/fiber optics installed in less time than this concoction has taken to come to fruition. 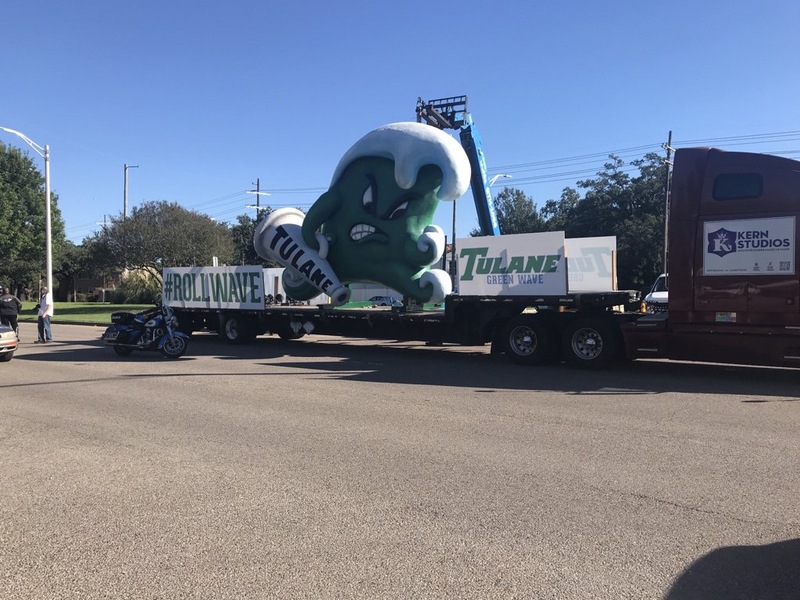 It's been reported that Kern is donating it to Tulane so you get what you pay for or literally in this case you don't get what you don't pay for. Photos are from Troy Dannen's Twitter feed at https://twitter.com/TU_Dannen. Great! Looking forward to seeing it mounted. Hopefully by HC. That thing really does look great. 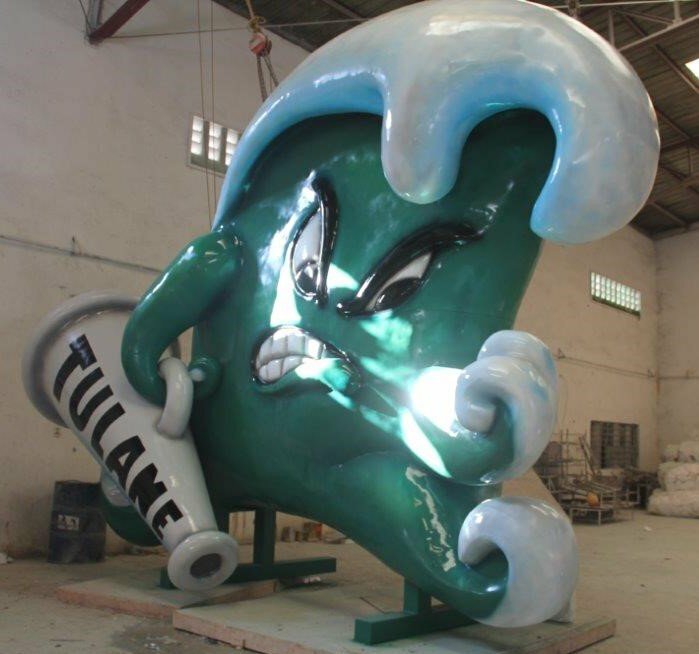 To have it mounted high enough to see it from Claiborne Ave. is going to be great marketing. Thank you to the Kern family. 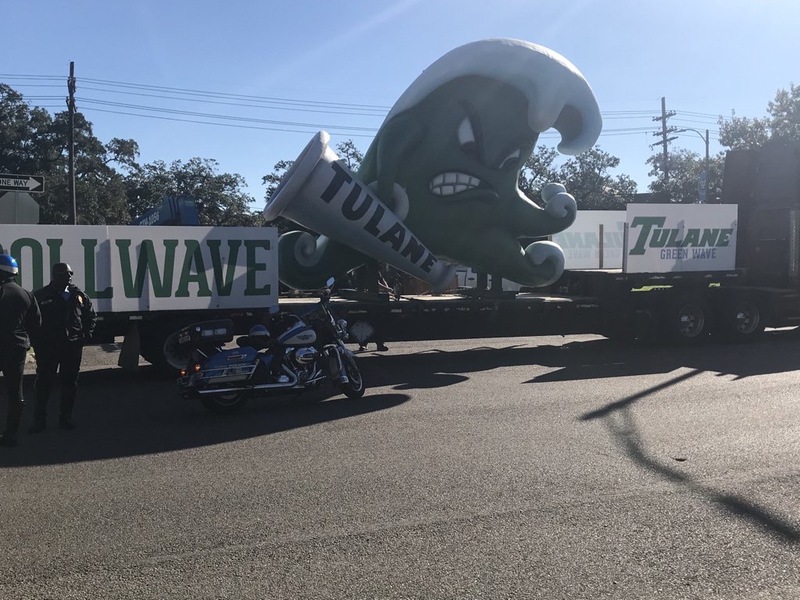 There's not a school in the nation with a stadium feature as cool as Angry Wave. Makes its appearance This Saturday? There are angry, Wave fans and there are Angry Wave fans. They are not necessarily the same folks. Cool. It looks good on a float. RobertM320 wrote: And, it's done. That really looks good. I hope it can survive hurricane winds. Anyone want to take a guess on Dannen's latest tweet? RobertM320 wrote: Anyone want to take a guess on Dannen's latest tweet? We're going full retro? Everything old is new again. All I know is, if we're going retro, we need to go back to the 40's, not the 60's. That's when we were at our best! Anyone have a program from the mid 40's? Did we have Chase drawing them back then as well? RobertM320 wrote: All I know is, if we're going retro, we need to go back to the 40's, not the 60's. That's when we were at our best! Anyone have a program from the mid 40's? Did we have Chase drawing them back then as well?